The FitzGeralds bought the house for £4,250 in 1959. It’s expected to fetch €1.3 million at auction tomorrow. THE FIRST family home owned by the late Dr Garret FitzGerald is up for auction tomorrow with an advised minimum value (AMV) of €1.3 million. 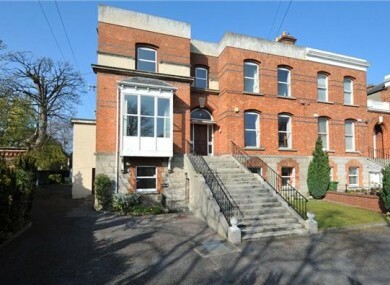 The property – number 75 Eglinton Road (formerly known as number 43) – extends over 4,000 square feet, and has a colourful history dating back to 1878, when Donnybrook was a village “consisting of one main street, with some few avenues and lanes braching off and along the Fair Green and river”, according to the Dublin Street Directory for that year. The American Consul to Ireland lived in no. 75 during the war. In the 1960s, the property was bought by Dr Garret FitzGerald and his wife, Joan, from the Irish leader of the Italian fascists during the war and Trinity College lecturer, Count Edwardo Tomacello. It was while he was living in no. 75 that Dr FitzGerald launched his political career. Visitors to the house over the years included the former British Prime Minister Jim Callaghan. The FitzGeralds moved out in 1974. Since 1984, the house has been run as a child care centre by the Eastern Health Board. The auction takes place tomorrow at the Sherry FitzGerald office on Shelbourne Road. Email “First family home of the late Garret FitzGerald goes under the hammer”. Feedback on “First family home of the late Garret FitzGerald goes under the hammer”.